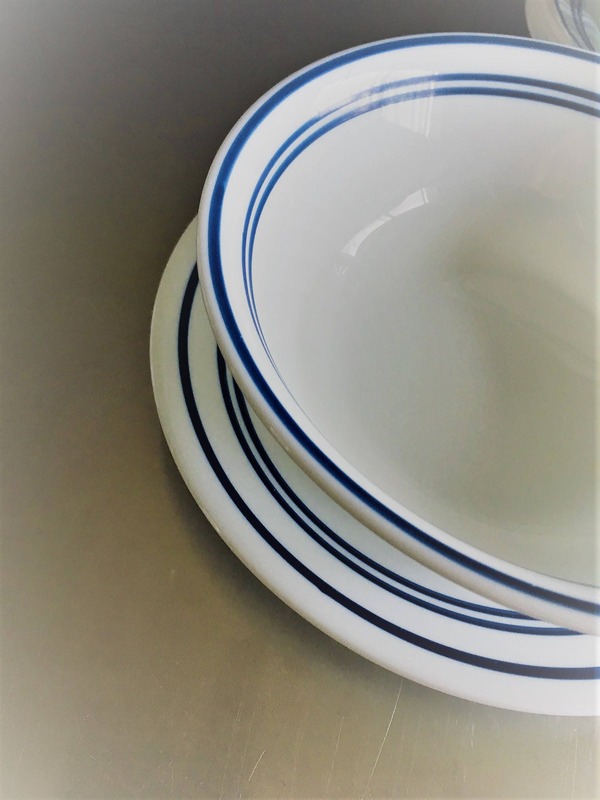 Featured here is a 2 piece set of Corelle in the Classic Cafe Blue pattern. Included is one, 6 3/4 inch Bread and Butter Plate, and one 6 1/4 inch Soup/Cereal Bowl. 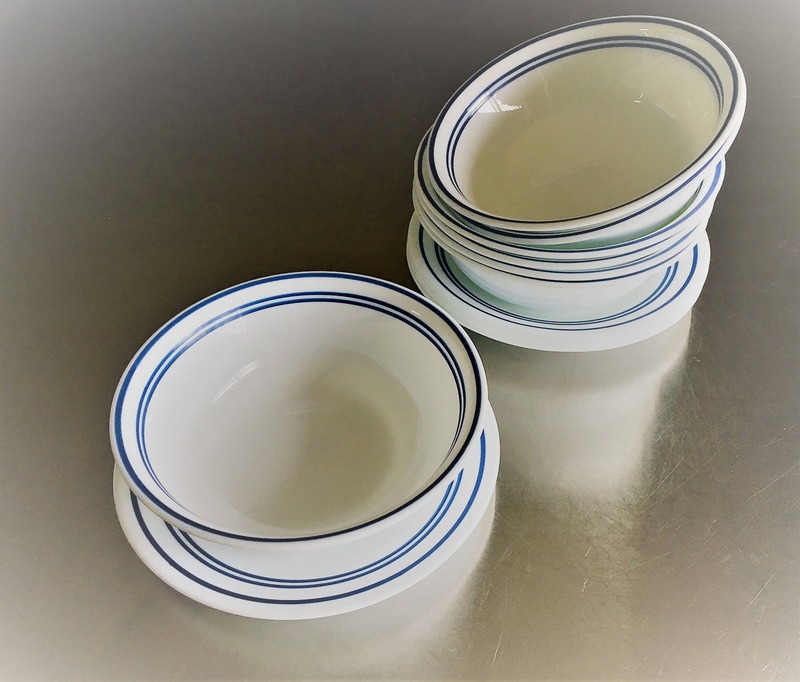 This popular pattern has a classic look and is characterized by the three blue bands on the rim. Great condition, free from chips or cracks. 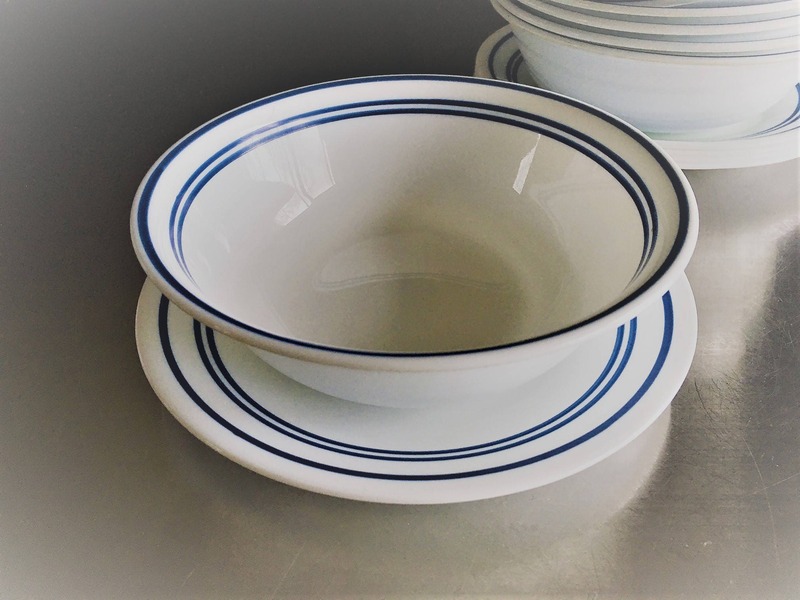 Perfect for rounding out an existing collection or for everyday use in the dorm room or studio apartment. 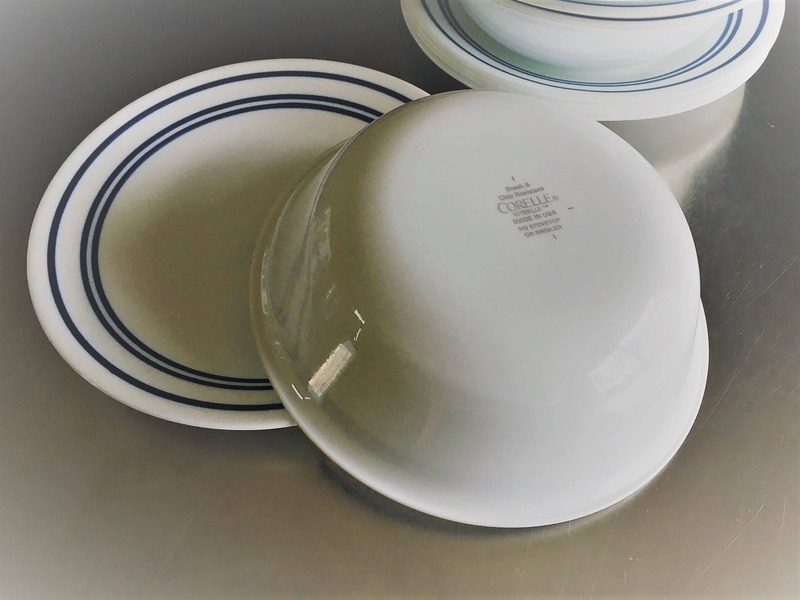 I like Corelle. Be sure to check out this and other patterns at my shop.